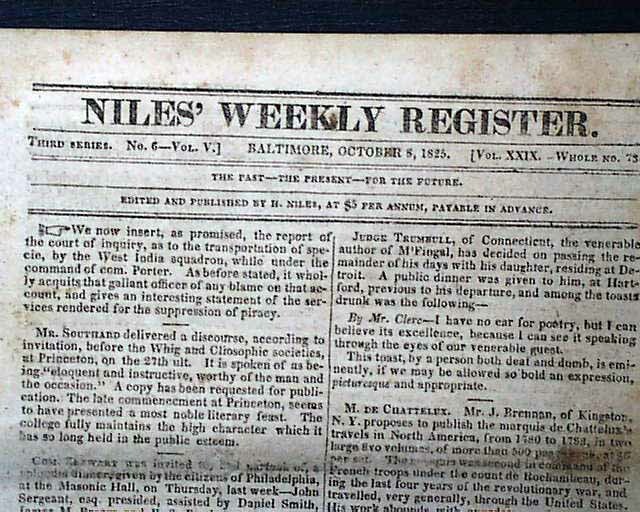 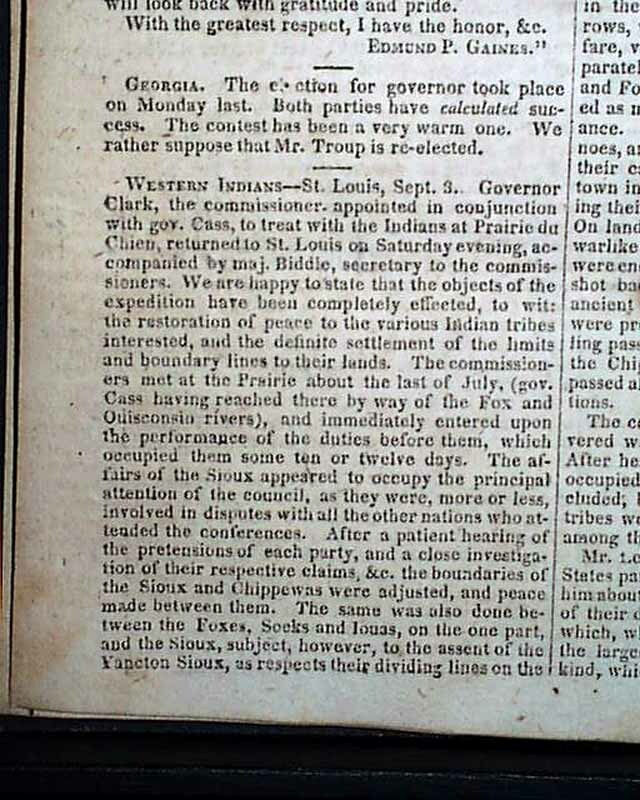 NILES' WEEKLY REGISTER, Baltimore, Maryland, October 8, 1825 A lot of the news in this newspaper is government related. 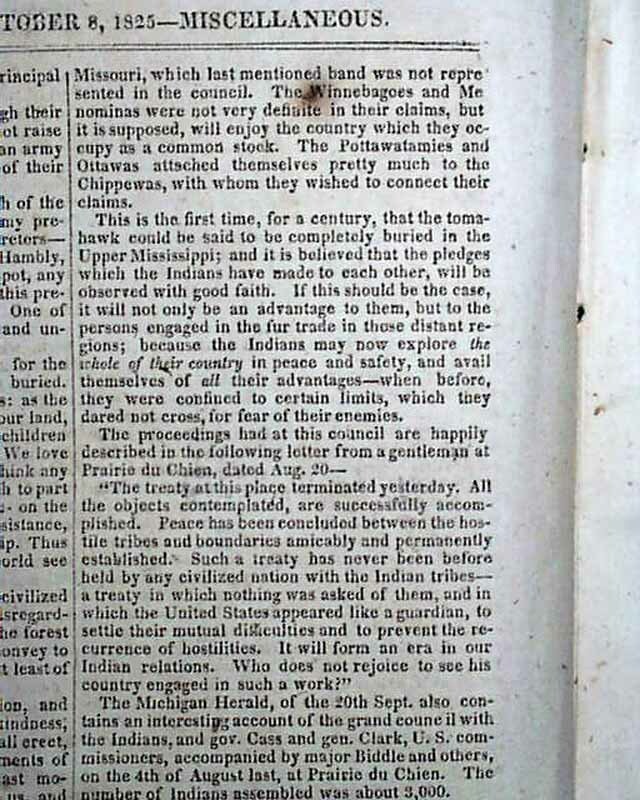 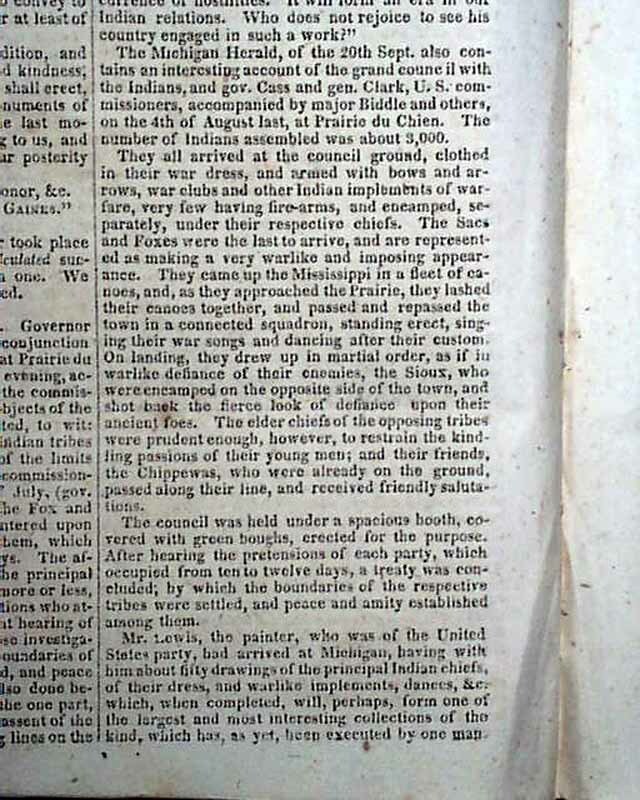 Featured in this issue is a report on the "Western Indians" living on the Mississippi River and on the University of Virginia. 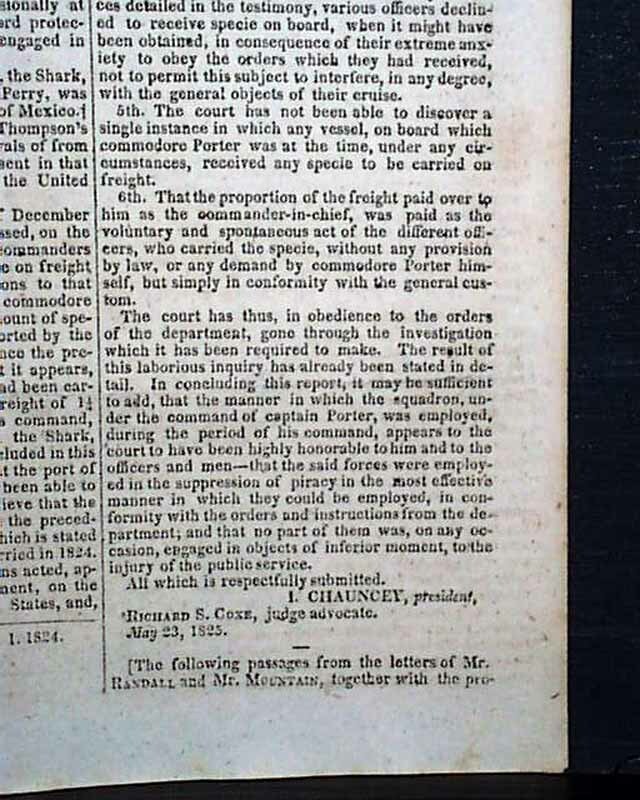 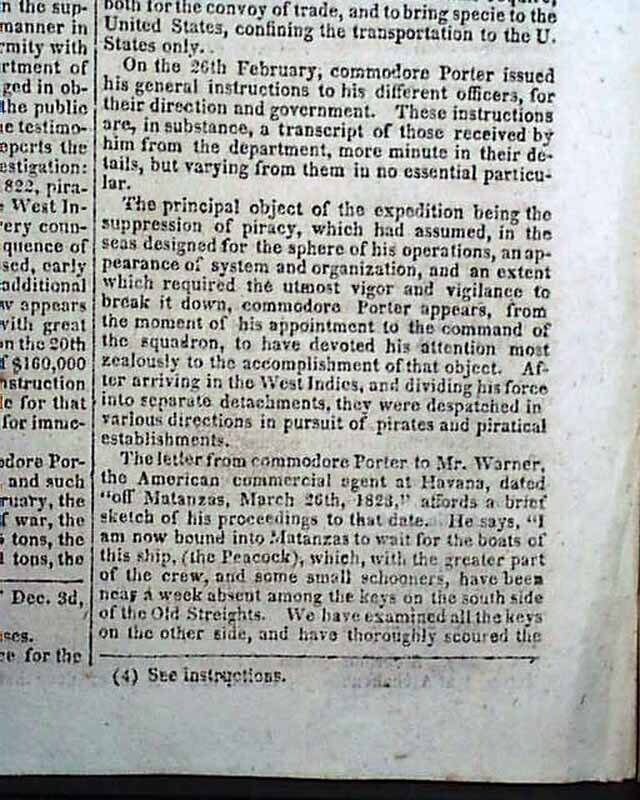 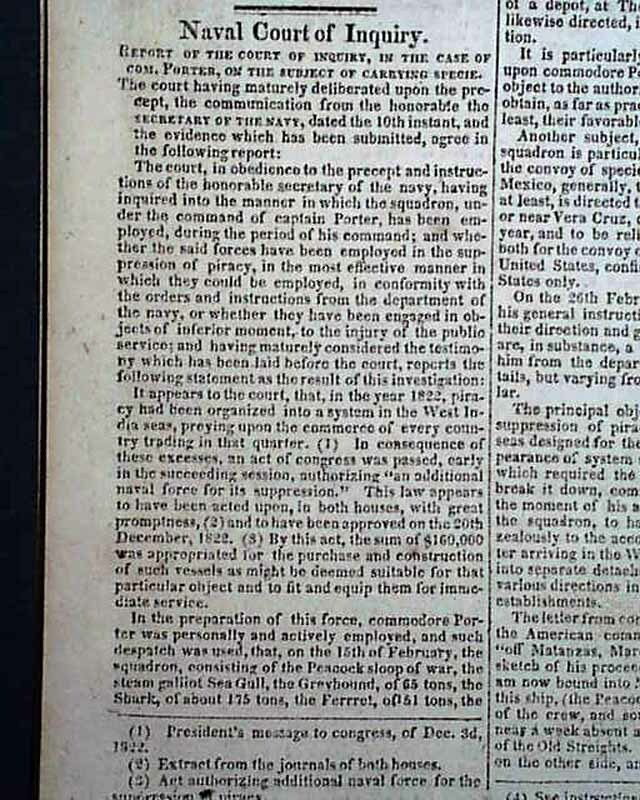 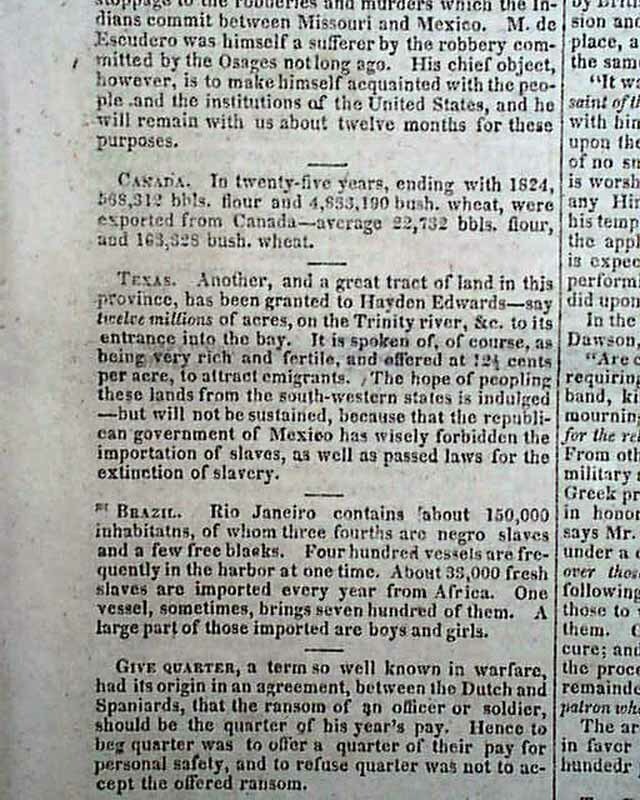 Also the "Naval Court of Inquiry" is in regards to an incident with pirates and Cuba (see Niles' dated November 1, 1823). 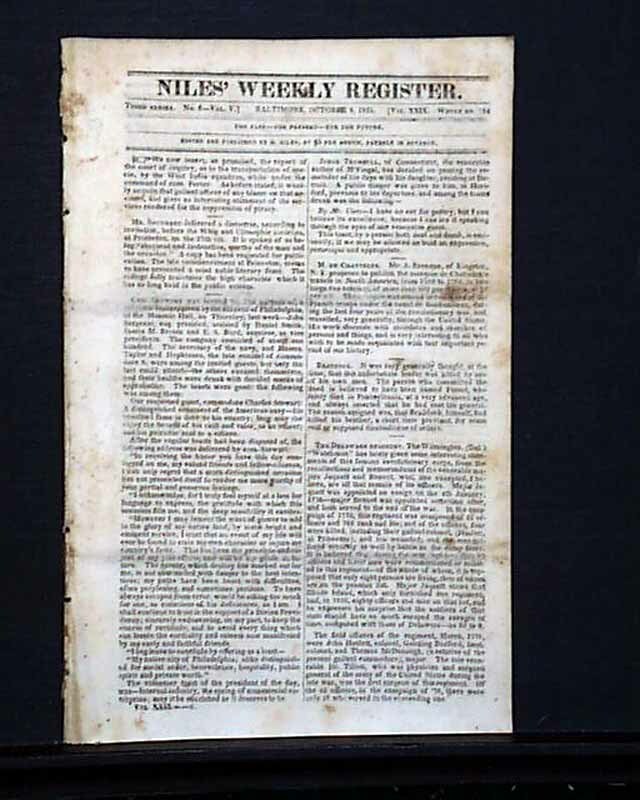 This is complete in 16 pages with lite scattered foxing and some lite rubbing on the front page, otherwise is in good condition.